Attending to the scoring records of La Liga, he is the third player who has scored the most points in his team in competition (13), only behind Messi (15) and Stuani (15), and tied with the French. Williams can be in the best moment of his career, now that he has been many weeks as 'nine' and has received full confidence from his technician, Garitano. He has 12 goals in the league, 14 in total counting the Cup. He is voracious and even mischievous. The referee Martinez Munuera gave the first to Rayo, but mediated a bounce by means: "I talked to him and he has pointed, I have to look for me and it is fair that they give it to me," laughed with his usual listeza Williams , that you start to know all of them inside the area. Against Levante there were also doubts about whether the 2-0 was Iñaki or goalkeeper Aitor's own goal. His last three goals have been scored after hitting opponents. Córdoba has already scored five assists in 2019 and four has given them to nine. It is noble and does not bother the collegiate. "Since I'm a very loyal guy and I always behave well in the country, that also helps" . He had a hat-trick on Sunday in a ball in which he sinned of excess individualism, since Raul Garcia (who missed his second penalty of the year and this time was not marked in the rejection) was in better position. With the double against the pupils of Paco Jémez, he has 48 as many as a lion, two more than Raúl. It is six from Muniain, 8 from Susaeta and 123 from Aduriz. 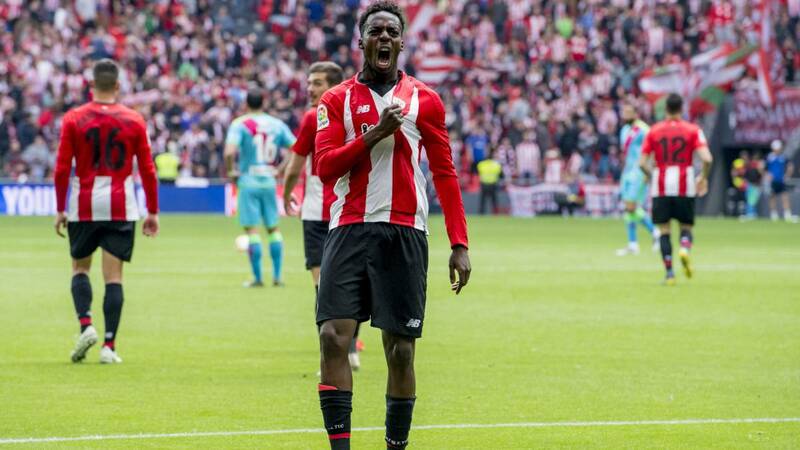 Attending to La Liga's scoring records, Iñaki Williams is the third player who has scored the most points in his team in competition (13), just behind Messi (15) and Stuani (15) . The rojiblanco striker is tied for third with Griezmann and Benzema, although it is true that Iñaki has scored the points for his team with one goal less than Griezmann and 6 less than Benzema. In addition, only Messi has scored more goals in the last month than Williams, in the five major European leagues. In addition, he has become the field player with most consecutive games in the league in Athletic history with 113 (the record has goalkeeper Carmelo, with 132). A relevant data for San Mamés panther, not in vain is the player with the highest speed of the championship, 35.71 km / h. In the past winter market there were clubs of the Premier that were interested in him, as anticipated As. His clause of rescission rises on July 1 from 84 to 88 million euros. Last summer he already caught the attention of several Italian clubs. He signed his last renovation until 2025, with a shield that started with 80 kilos and that will end at 108.